Samsung Bada Developers Day: all we need is… a new OS? Recently I had the opportunity of attending the Samsung Bada Developers Day in Milan, and I would like to share my first impressions about the Bada OS. First of all, let’s say that Bada is all but a new OS: Bada is actually a refactored and readapted version of the OS used for years by Samsung as their legacy OS. The good news is that now it has been made available and open to all developers, that can use all the APIs that were previously accessible to Samsung and its partners only. When I say open it means really open: API set is impressive, and it seems there’s actually nothing that has been left out. The comparison with other “modern” OS (e.g. 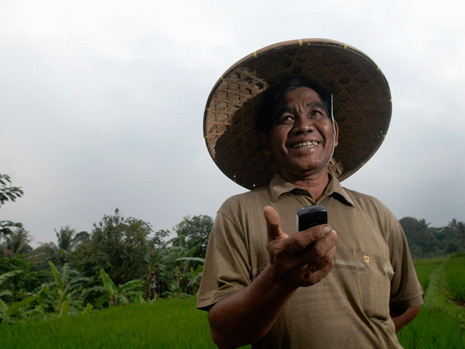 : iPhone and Android) shows how Bada gives to developers a new level of access to the device and its features. Bada applications are built by using C/C++ code, but there is a good news for non C-speakers: Bada devices come with Flash Lite support (Samsung Wave ships Flash Lite 3.0) and you can package a Flash Lite application into a native one, and distribute it on the Bada App Store. But the good news are not ended, since the Bada architecture allows Flash Lite content to access every native API! This is huge, and as a Flash developer I cannot be more happy of this! Coming to the downsides: Bada applications cannot run in background, so no real multitasking is allowed. When an app goes in background, it is simply paused, and you can resume it from the active apps list. As for the development part, the SDK has currently some glitches, as the necessity to be restarted each time an application has to be deployed. Anyway, being not a final release, we can expect improvements in the next versions. Summarizing it up, the first “contact” with the Bada environment was good: the OS is powerful and open, with the Flash Lite support and native API access being actually the best parts in my opinion. The current only Bada device (the Wave) is fast, responsive and with a nice touchscreen (differently from what seen on some recent Samsung models, see H1). What remains to see is if all this good stuff will be able to gain a decent market share, and so if it’ll be worth to invest time and money on it. great information! I knew about FL 3 support, but the access to other API it’s new!! Very cool. I’ve still not tested it by myself, but it seems that you have an open communication channel from Flash Lite to C++ to pass any kind of commands between the 2 layers. Will post here as soon as I have more information! Today Alessandro posted the latest mobile phones’ market shares. These charts should make the mobile workers think about where the mobile industry is right now, despite all the hype surrounding some fancy platforms nowadays. This also made me think about an inspirational post I read today on the Nokia Conversations blog, whose title could have not been clearer: Innovation means so much more than high end smartphones. Have you ever tought about 5 different phonebooks in a single device? An even clearer hint? Look at Nokia Life Tools. Alessandro yesterday talked on this blog about this point: while we’re focusing on smartphones and latest fancy devices, the greatest portion of mobile market is simply somewhere else, looking for resources and innovation that don’t need application stores, augmented reality or jingles like these. Not convinced about this? Take a look at Calling All Innovators categories or at Betavine Social Exchange, and then start re-tuning your mobile strategy. Here are some interviews (mine too :)) collected during the Vodafone 360 event held in Milan on October 5-6, 2009, for the launch of two new Samsung devices: the Samsung H1 and M1. During the event, I’ve ported the Go Local widget to these new devices, adapting graphics and functionalities. 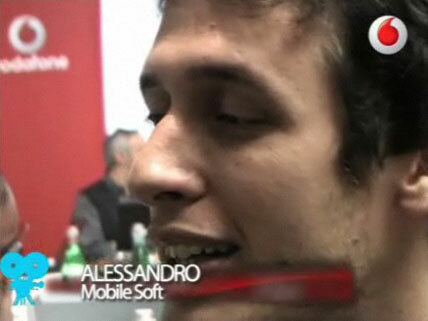 The full video (in Italian language) is available here: Vodafone and developers side by side.